Kanteron Systems, a pioneer in Precision Medicine clinical data integration, today announced it will participate in the annual Radiological Society of North America’s meeting (RSNA 2017) with its technology partner Google Cloud Platform. 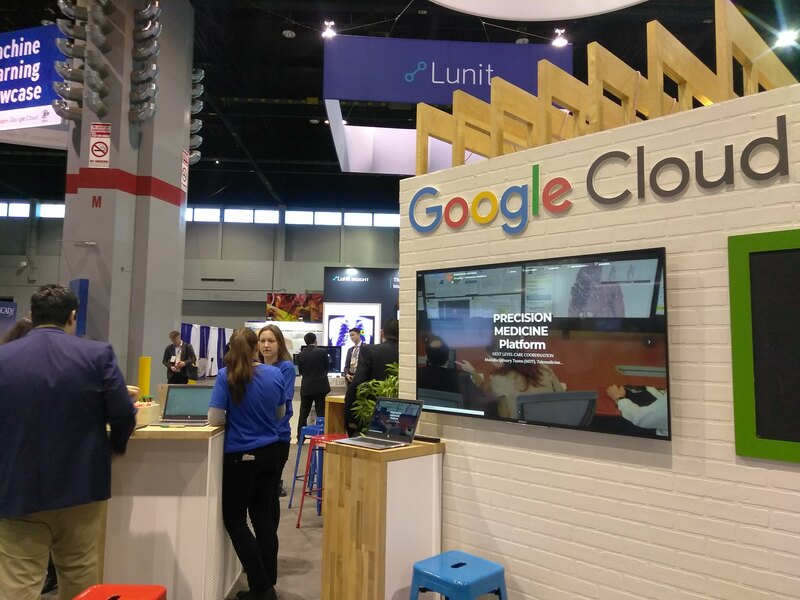 Besides demos running during all opening hours of the show, and visible at Google’s booth main video screens, Kanteron Systems will also present its solutions during a special corporate symposium held by Google: “Cloud Computing and Machine Learning for Next-Gen Diagnostic Imaging Platform”. The symposium will take place Tuesday, November 28th, 1:30pm – 2:15pm, in room S105D followed by an expert panel (2:15pm– 3:00pm). The highlight of the show will be the premier hands-on demonstration of an unprecedented collaboration in the industry. Led by the American College of Radiology (ACR), Google Cloud Platform and Kanteron Systems, in this collaboration the ACR Image and Information Exchange will provide de-identification and cross referencing of data, aggregating it through Dicom Systems with DICOM and non-DICOM into Kanteron’s Platform who will provide access to storage, visualization and collaboration for mixed content Rad/Path/Genomics. ACRassist and Google will then leverage Kanteron’s Platform to provide search and algorithm training and reporting using assist. This collaboration enables Healthcare Delivery Organizations (HDOs) and patients to benefit from integration of medical imaging (RIS-PACS), digital pathology, clinical genomics, pharmacogenomics, and biosensor data in a pay-as-you-go model that eliminates the need for the procurement and maintenance of costly infrastructure, enabling Precision Medicine at the point of care.